Choice the carbon fiber company that holds themselves to a higher standard then the rest. 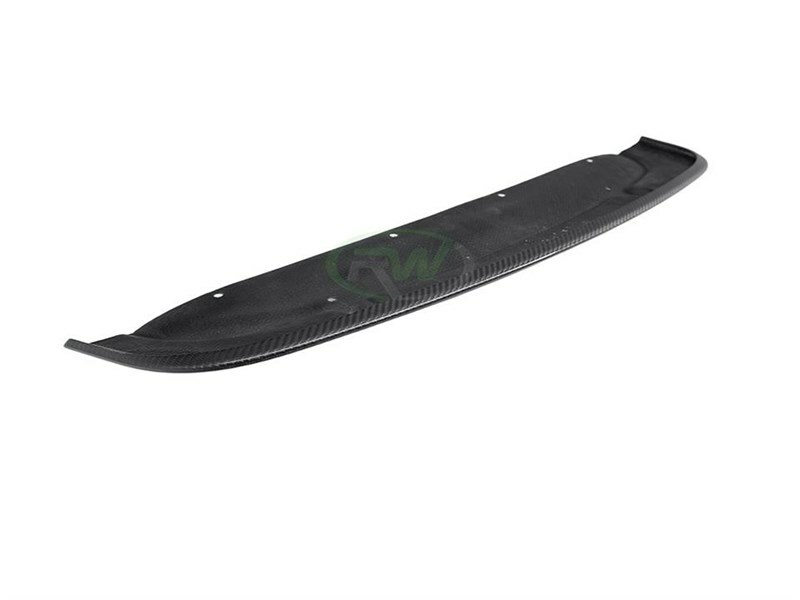 RW Carbon are the specialist in carbon fiber manufacturing. 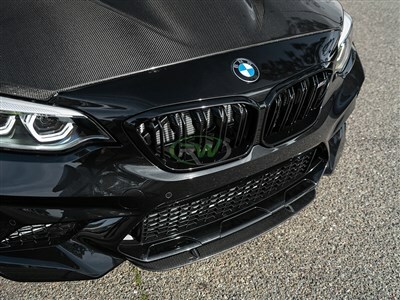 This new Center Front Lip Spoiler for the F87 M2 from RW Carbon is the perfect addition to any M2. It adds a lowered and more aggressive style to the front without being too overbaring and large. It installs simply by using a few self taping screws and a professional can have it done in under 30 minutes. Before we ship any of these front lips out RW Carbon quality checks each and every piece to ensure you receive a flawless looking product. 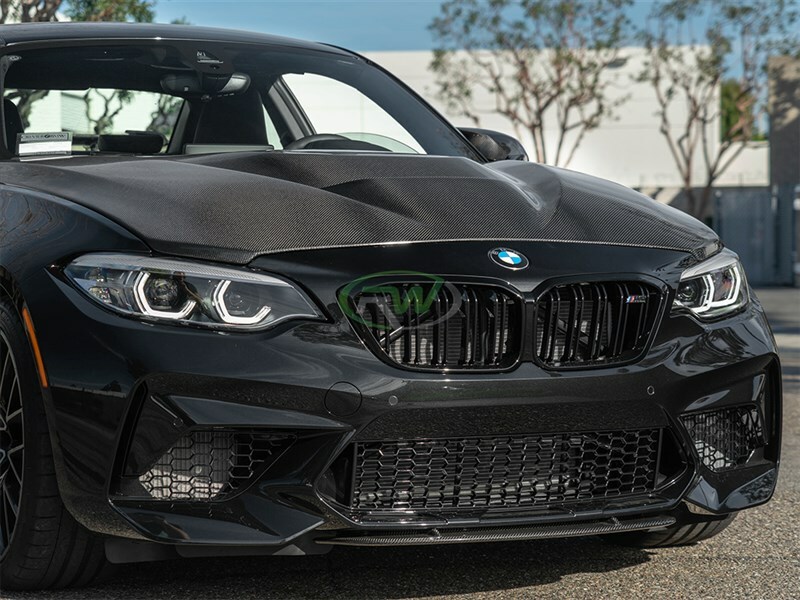 NOTE: This front lip will fit all F87 M2 Competition models. 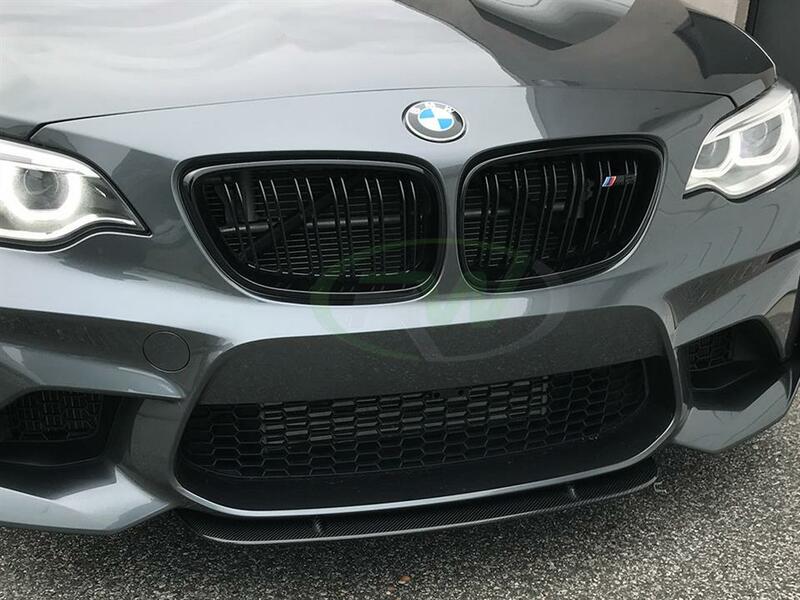 The center front lip splitter for the F87 M2 will install using a few self taping screws and 3M brand double sided tape. Professional installation is recommended. 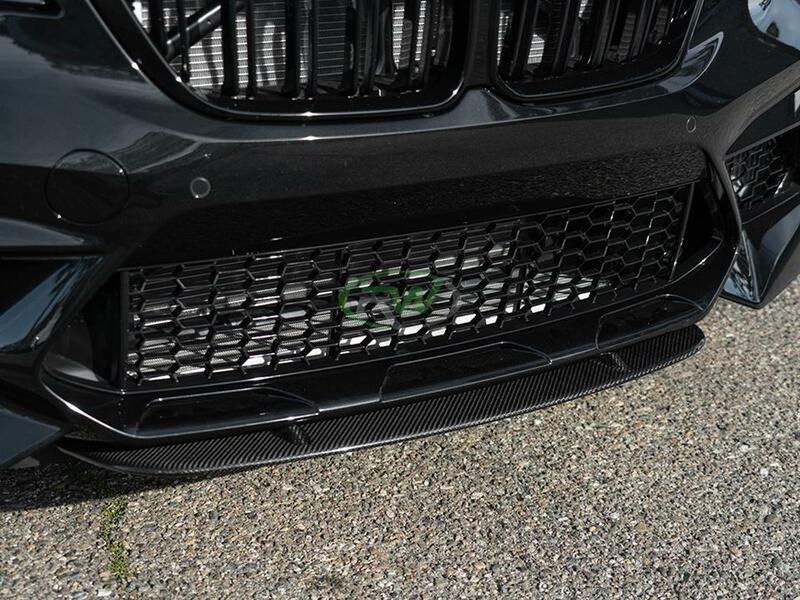 We know there are many companies out there claiming to have the best carbon fiber upgrades for your BMW F87 M2. At RW Carbon we are different - We quality control every single item that we ship from our warehouses to provide you with a quality item that is free of defects. By choosing RW Carbon we make the promise to deliver a consistent, quality product that is shipped from our Southern California location, not from overseas. 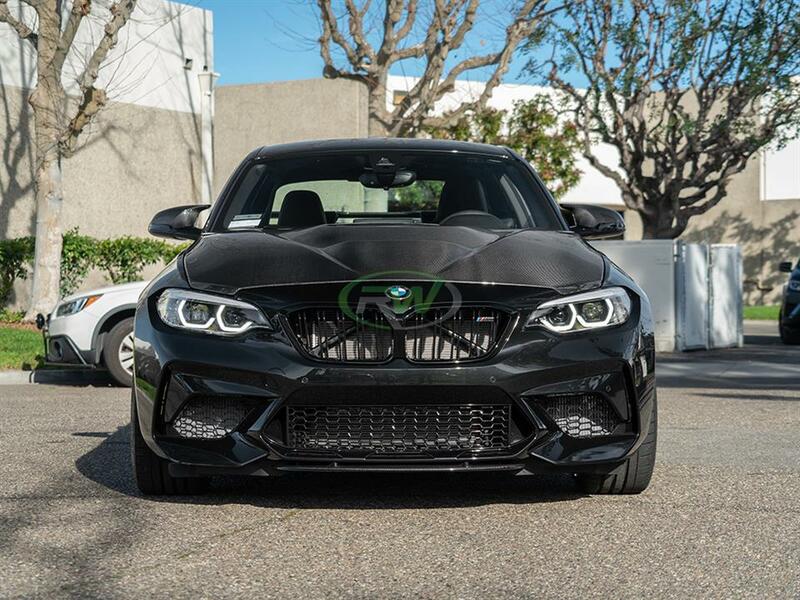 Additionally, all products shipping from our warehouse are meticulously inspected, and packaged to ensure the utmost care and provide a truly quality carbon fiber parts for your BMW F87 M2. 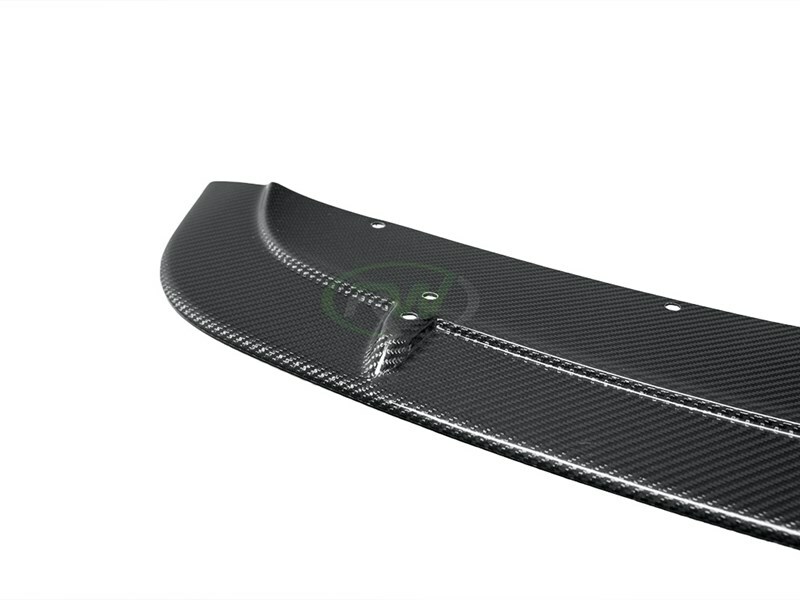 Our products may look similar to other carbon fiber accessories on the market but they are different in the fact they have a clean weave construciton, better qualtiy carbon fiber fabric, and overall superior fitment. Your BMW F87 M2 deserves the best - Give it the RW Carbon M2 carbon fiber front upper bumper splitters.